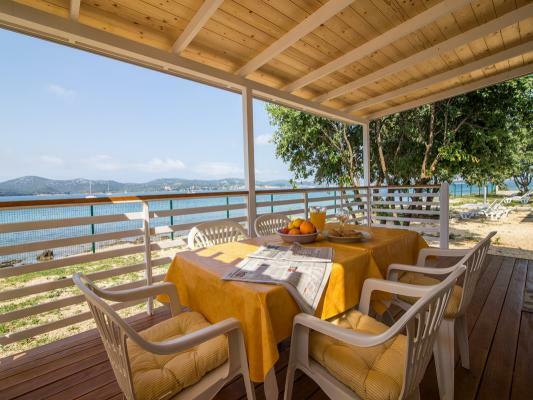 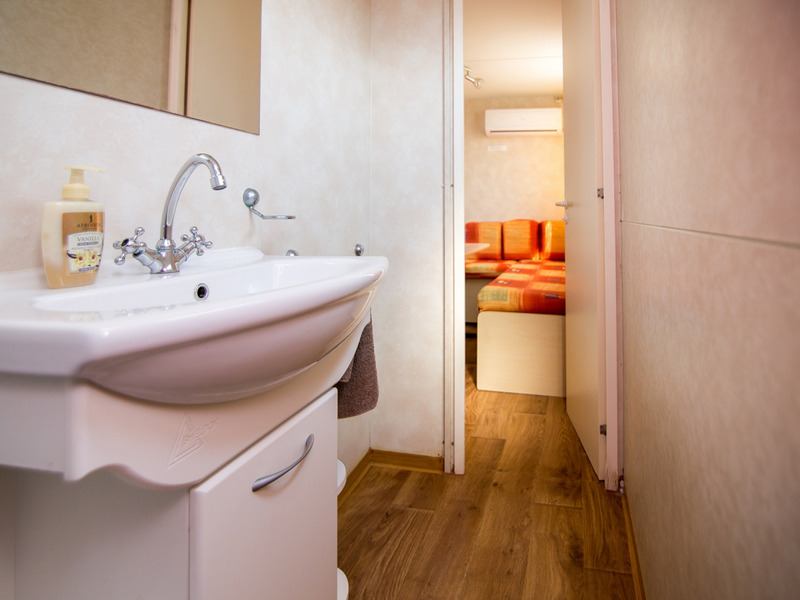 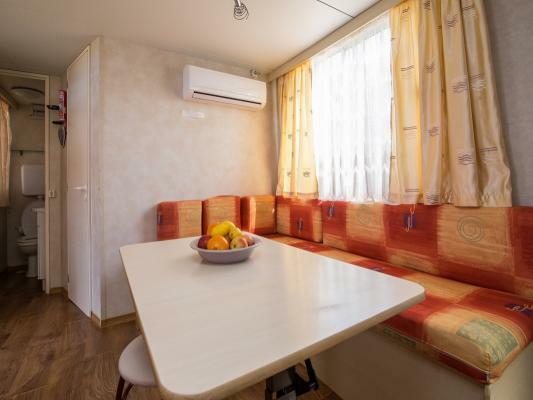 Directly on the beach Kumenat, in Biograd na moru, you will find this lovely mobile home Sandi N°3, type EUROHAUS, perfect for your beach holiday with family or friends. 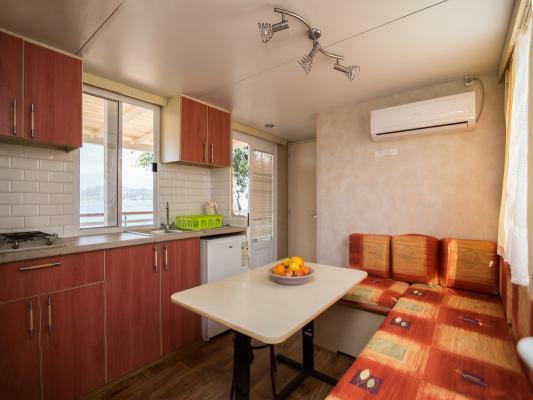 On its indoor area of 24 m2, there are two bedrooms - one with a double bed, the other with three single beds of which one is bunk bed - a living room and a well equipped kitchen with dining area, as well as a separate toilet and a bathroom. 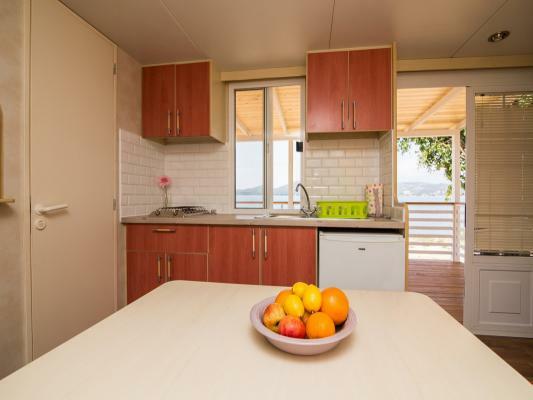 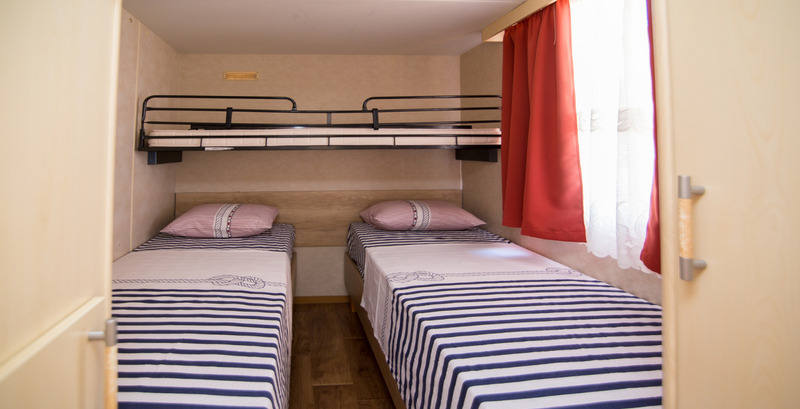 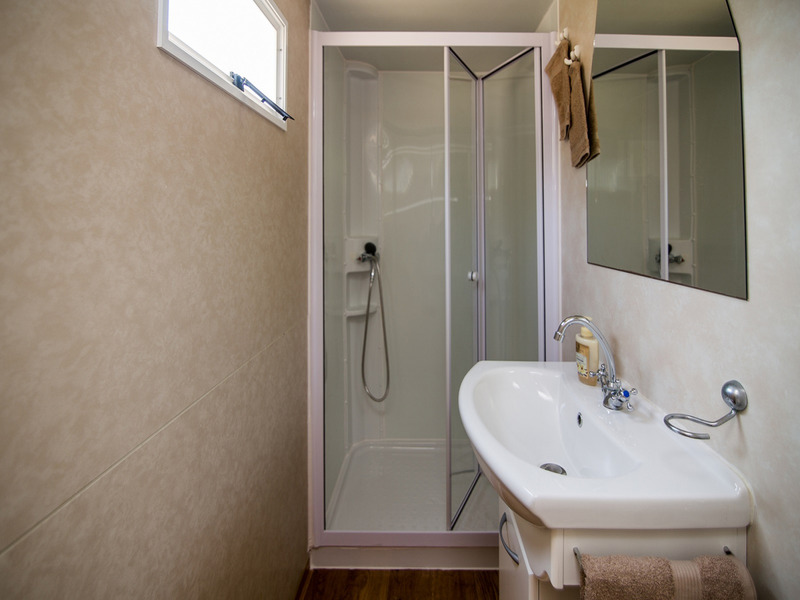 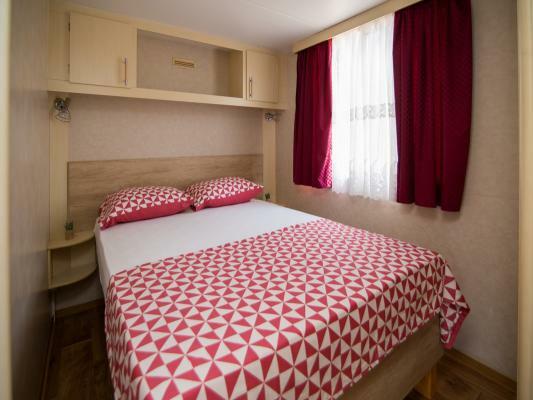 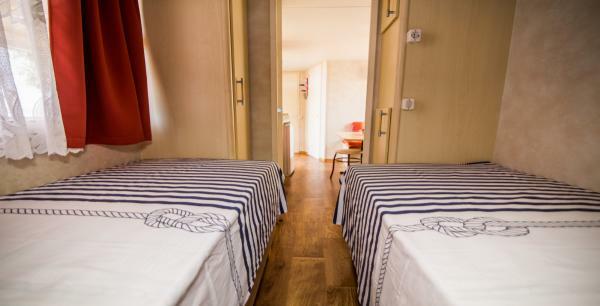 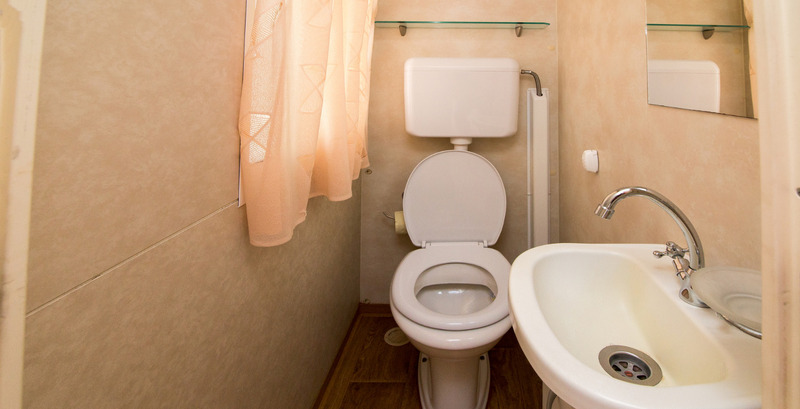 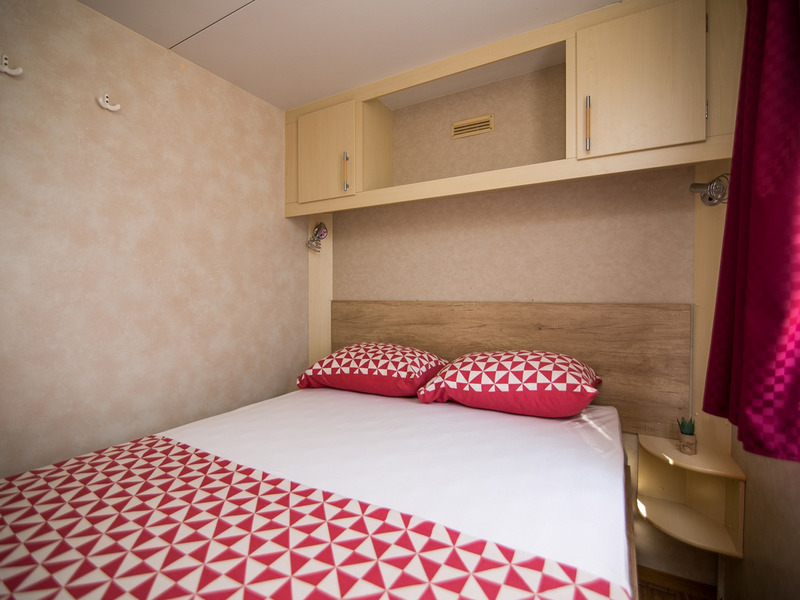 The mobile home is equipped with air conditioning, Wi- Fi (WLan) internet and SAT TV, bed linen and bathroom towels - beach towels are not in the offer, so kindly bring your own. 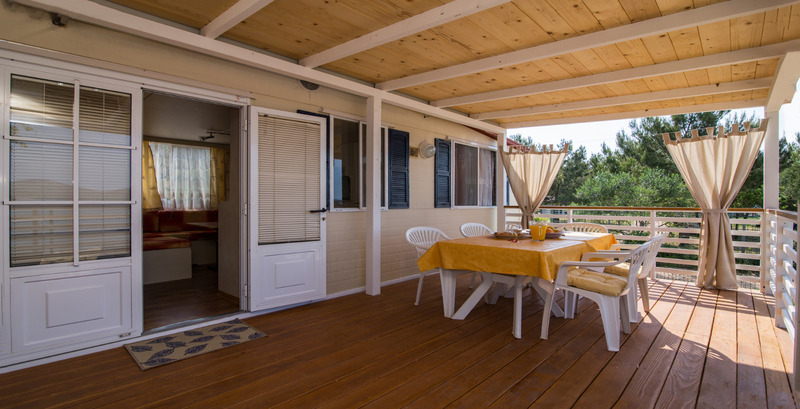 On the 10m2 area of the terrace, you will find garden furniture to sit outside, as well as 2 sunchairs. There is also a grill, available for all guests and a parking spot next to the mobile home. 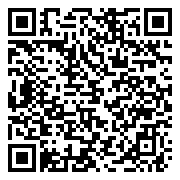 This is a pet- friendly accommodation (surcharge is 5 euro per pet / day).